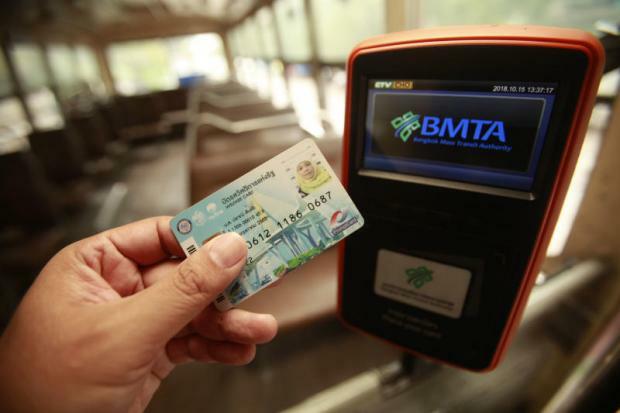 The next government is expected to continue using the Prayut Chan-o-cha administration's state welfare smartcard scheme, says a senior official at the Finance Ministry. No political party has opposed or called for the cancellation of the state welfare card for low-income earners, said Lavaron Sangsnit, director general of the Fiscal Policy Office (FPO). The next registration round for the state welfare scheme for low-income earners is expected to be held after the general elections on March 24, depending on the new government. Alterations to the scheme will depend on the next government, he said. The FPO is preparing to tweak the qualification criteria for welfare recipients to better capture those who are in need, said Mr Lavaron. The FPO has received information that some welfare smartcard holders are not financially poor, while there were instances of the needy being disqualified, suggesting the criteria for registration had some errors. Recipients' qualifications will be changed to family income instead of individual income, to better screen qualified smartcard holders. For example, in one family the property and income could be under the father's ownership, making him ineligible to receive the welfare card, but the wife or mother and children in the family were considered to have no assets and income, making them eligible though the family does not live in poverty. He believes family registration would better evaluate the real income of families and decide whether a family should be eligible for state welfare. "We would still have to consider the possible problems from registering as a family, such as evaluating income and how many people are considered one family," said Mr Lavaron. Under the most recent criteria, those who are eligible for the welfare and subsidy scheme must be Thai nationals aged 18 years or older, be unemployed, have annual income of not more than 100,000 baht, and have financial assets of not more than 100,000 baht. Eligible recipients can own a house sized up to 25 square wah, or a condominium sized up to 35 sq metres. There are 14.5 million welfare smartcard holders.